The National Association of Nigeria Nurses and Midwives (NANNM), Ogun State Chapter, has disassociated it selves from the recent newspaper publications name (Withheld), on the controversial self acclaimed nurse who was impregnated by a lecturer at the Ogun State College of Health Technology, (OGSCOTECH), Ilese-Ijebu, Ogun state. The Chairman, NANNM, Ogun State Chapter, Comrade Roseline Solarin in a joint statement by the executive members, at the Nurses House, Abiola Way in Abeokuta, said the newspapers had at different times published stories addressing the lady who was neither a registered nurses nor student nurses had been mischievously referred to as nurses or student nurses, adding that the lady in question was a “dentist technician” which has no relation with nursing profession in any aspect. She said the misinformation was thought to be an honest mistake when the story was initially published and attempts were made to correct the half truths by contacting correspondent of the newspaper and their officials both in person and via phone calls but were repulsed as the same author using the platform of the outlet published three (3) different follow up stories using headlines that maligned the appellation “nursing student” despite the fact that there is nothing about the nursing profession remotely or closely associated with the stories. 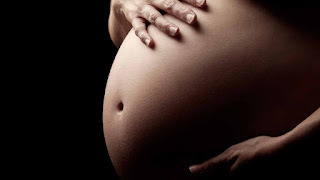 “Some of such unscrupulous publications, include stories about a student of the college of health technology, Ilese-Ijebu and his lecturer involved in a pregnancy scandal titled, “Lecturer impregnated me, rejects pregnancy, says nursing student. It wasn’t me, I used condom – Lecturer” on the 22nd day of May, 2017. It is pertinent to note and inform well-meaning members of the public that the school, the student and the lecturer have nothing to do with the nursing profession as the school does not have the requisites to train nurses and neither the lecturer nor the student have anything to do with the nursing profession. “It is highly unfortunate that the editor and correspondents of the newspapers; who are expected to be conscience of the nation with the responsibility of searching for the truth and disseminating correct information; have demonstrated deviance from such responsibility and have chosen to take the path of spreading wrong information and half-truths,” Solarin said. Solarin said other newspaper publications which are not true include the story of a maid who stole a baby in a private hospital in Abeokuta, who the same wrongly referred to as a nurse and that of a birth attendant who pulled off a baby’s hand in the process of delivery also in Ogun state, who was inaccurately described as a nurse by said newspaper. While appealing to goodhearted Nigerians to treat the newspaper publications on the above issues as mere mischief makers and ignore them, Solarin said NANNM demand an apology from the newspaper in particular, noting that the newspapers should be bold enough to come out straight if they have any scores to settle with nurses and the nursing profession rather than employ these infantile and irresponsible strategy of maliciously portraying nurses and nursing professional in bad light.